DMInnovation will host an exhibition booth and present on the Ignite Stage in the 2016 Disaster Risk Reduction (DRR) Week in the city of Manado, Indonesia. The event will coincide with the 29th ASEAN Committee Disaster Management (ACDM) and the 4th ASEAN Ministerial Meeting on Disaster Management (ADDM), and will officially be opened by Indonesia’s President Joko Widodo. Retrieve the complete information here: http://2016.peringatanbulanprb.net. 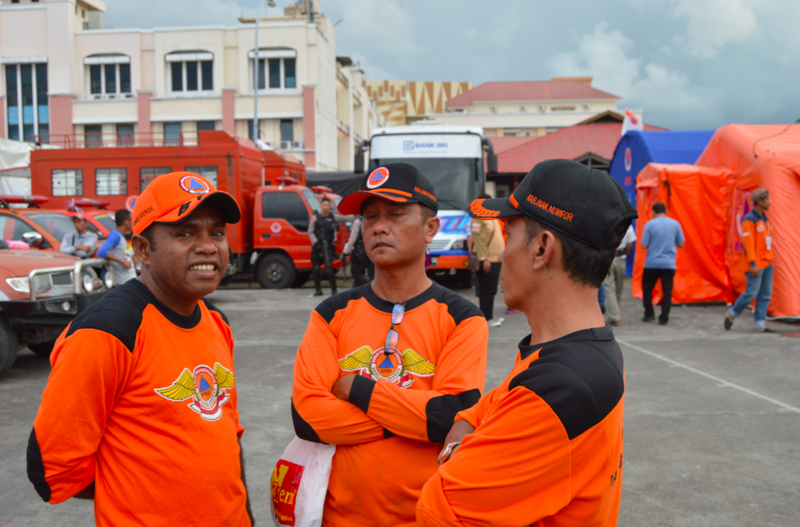 For the fourth time since 2013, a Disaster Risk Reduction (DRR/PRB) month was organized by Indonesia’s National Agency for Disaster Management (BNPB). The event this year was hosted in the city of Manado, running for three days from Wednesday to Friday, October 12-14, 2016. 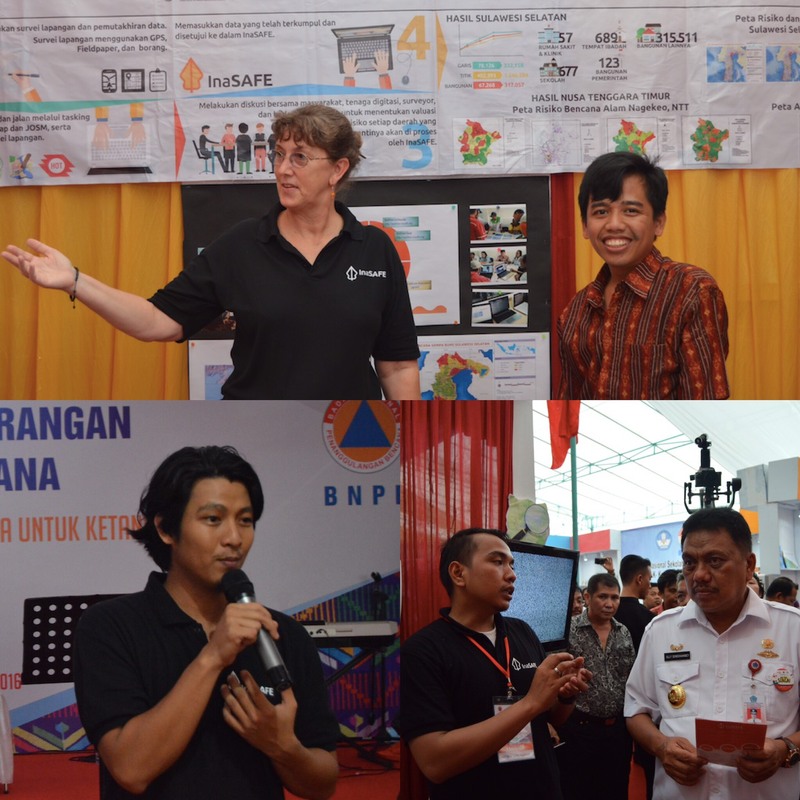 The Governor of North Sulawesi, Olly Dondokambey, S.E., and the Head of BNPB, Willem Rampangilei, officially opened the exhibition with hundreds of representatives from BNPB, BPBD, related government agencies in disaster management, private sector and non-governmental organizations attending the event. The event attracted the crowd both from Manado and some adjacent areas. The theme for this year’s DRR Month is “DRR Movement for Resilience” and it run parallel to a series of other events, such as technical sessions, ASEAN Ministerial Meeting on Disaster Management (AMMDM) and a DRR rally. The exhibition consisted of two main parts. Firstly, installation of 72 booths in total, half of which were occupied by BNPB, BPBD North Sulawesi taking 15 booths, and BPBD from selected provinces, such as BPBD West Java, DKI Jakarta, Maluku, North Maluku, Gorontalo, South Sulawesi, Southeast Sulawesi, Central Sulawesi, Kalimantan and West Sumatera. The other half were occupied by representatives from NGOs, private sectors and other government agencies relevant to disaster management. Secondly, series of lightning talks dubbed as Ignite Stage, setup in the middle of the exhibition complex where, alternating with cultural performances, participants can present their work to the crowd. DMInnovation, together with the Humanitarian OpenStreetMap Team (HOT) Indonesia and Indonesia’s National Agency for Disaster Management (BNPB), is hosting a four-day mapathon and a series of training in the use of InaSAFE and OpenStreetMap. We aim to map as many lifeline infrastructure and building in the city of Manado, leading up to the Disaster Risk Reduction Week 2016. The targeted participants will include, among others, the Regional Agency for Disaster Management (BPBD) in Northern Sulawesi and university students. This will also be among the first series of trainings specifically designed for the 136 disaster-prone priority areas in Indonesia. We will update this page as the event progresses. 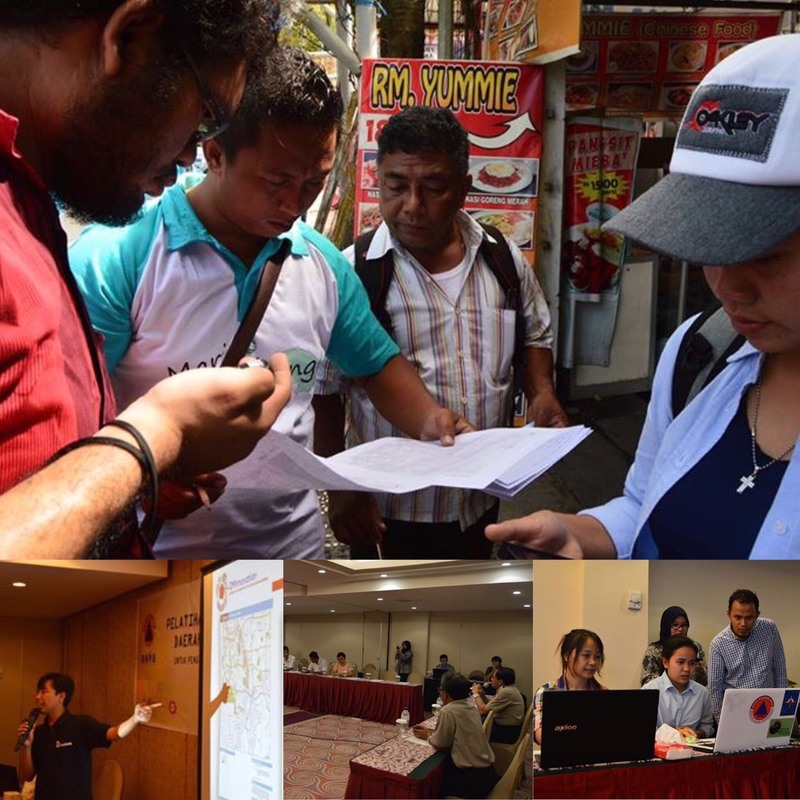 Indonesia’s National Agency for Disaster Management (BNPB) together with DMInnovation and the Humanitarian OpenStreetMap Team (HOT) Indonesia hosted a four-day mapathon and a series of training in the use of InaSAFE and OpenStreetMap on October 5-8, 2016, in the city of Manado. We aim to mobilize mappers to digitize as many data as possible in Manado, the host of Disaster Risk Reduction Week 2016, coinciding with the 29th ASEAN Committee Disaster Management (ACDM) and the 4th ASEAN Ministerial Meeting on Disaster Management (ADDM), and will officially be opened by Indonesia’s President Joko Widodo. The 32 participants of the Manado Mapathon came from the Regional Agency for Disaster Management (BPBD) in the Province of Northern Sulawesi, City of Manado, Northern Minahasa, Southern Minahasa, Bitung and Sangihe as well as students and lecturers from Sam Ratulangi University and the State University of Manado. The mapathon was also among the first series of trainings specifically designed for the 136 priority economic-hubs in Indonesia as stipulated in the National Medium Term Plan (RPJMN) 2015-2019. BNPB initiated to complete the spatial data for these areas, in order to minimize the damage caused by unwanted events, such as disaster, that may incapacitate the overall economic growth of the region. Activities in the Manado Mapathon, including field survey using GPS, OSM Tracker and Field Paper; digitizing buildings and roads; trained on how to use OpenStreetMap and InaSAFE. One of the biggest predicaments to a swift humanitarian response–and economic development in general–is the lack of spatial data. According to Ir. Bernadus Wisnu Widjaja, M.Sc., BNPB’s Deputy I on Disaster Preparedness and Prevention, in his opening remarks, “spatial data is quintessential in helping policy makers to formulate, for instance, an accurate contingency planning in the event of disaster. When available, it can enable disaster managers in mapping out how to timely and efficiently dispatch live-saving resources and to allocate humanitarian aid; in the long term, the data can improve the overall city planning, including in mitigating and restoring from the damages”. “We can no longer use conventional means of decision making using merely memories and intuition, we need to make use of the development of technology and adapt accordingly,” said Wisnu. While efforts to collect spatial data is not technically cumbersome, it needs time and sizable human resources to carry through. Mapathon is an event often used to gather, engage and mobilize mappers to collect and validate spatial data. It is one of the fastest ways to get people together to map and collect data of interests, including buildings, roads and POI. Before and After #ManadoMapathon. 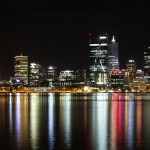 Over 60,200 buildings and roads were mapped in 3 days. We would like to extend our heartiest congratulations to the three winners and all the volunteers for their effort and enthusiasm in completing Manado’s spatial data necessary for the city’s planning on humanitarian response. The three winners will be contacted to receive a token of appreciation during a morning flag ceremony at 07.00 WITA, Thursday, October 13, 2016, in KONI (Komisi Olahraga Nasional Indonesia), Jl. Jendral Ahmad Yani, Sario Utara, Manado. The certificate of training can also be retrieved at this ceremony. All Manado Mapathon participants are kindly requested to attend. Please check on the following for some of the photo documentation and below for a short video clip. how can we better warn communities of impending floods? how can we help people to avoid flooded areas? are there ways we can find for people to better deal with the flood when it is around them? can we find ways to help people get out of flooded areas more effectively? how can we help people recover better after a flood? can we use data and technology to find ways to help people avoid being flooded in the future? The event is timed to occur after the monsoon season in Jakarta, while flooding is fresh in people’s minds and with a view to having the time to explore new ideas arising from the event before the next monsoon season. 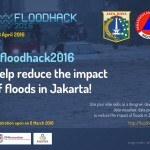 FloodHack 2016 is being sponsored by DMInnovation and will be hosted at Smart City / BPBD DKI Jakarta. The venue has the capacity for a large number of people but we plan to limit participation to around 75. The participants will be asked to self aggregate into teams with members from different disciplines and organisations so that in any given team there will be a variety of expertise. The event is open to anyone with a special interest in reducing the impact of floods in Jakarta and is free of charge to attend. If you would like to participate in the event, please visit the dedicated event page at http://floodhack.org and register now while places are still available! There will be a pre-conference workshop on “Open source hands-on GIS workshop for disaster management using QGIS and GRASS” at the CRESCENT BUILDING, UNITED ARAB EMIRATES UNIVERSITY, AL-AIN. The workshop will be delivered by Prof. Scott Madry from the University of North Carolina, USA. 8TH -10TH DECEMBER 2015. Click here for details.